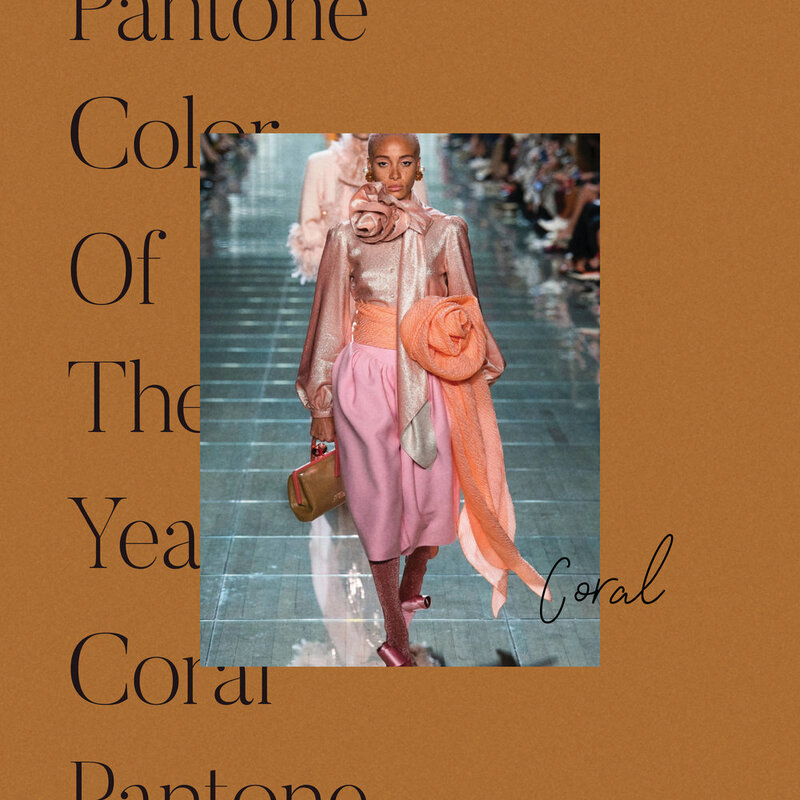 Living Coral Is the Pantone Color of the Year—Here’s How to Wear It — Carrie Nelson & Co.
Can a color be woke? According to the experts at the Pantone Color Institute, the answer is yes. For 2019, the organization has named Living Coral the color of the year, writing in a press release that the color “is evocative of how coral reefs provide shelter to a diverse kaleidoscope of color.” In that quote you’ll find a nod to the importance of coral reefs in our environment, and in the color name, the denotation of coral as “living” (a hope) instead of “dying” (the facts). The Pantone Color Institute also notes that in addition to representing one of the earth’s most essential and magnificent ecosystems, the color coral “is a nurturing color that appears in our natural surroundings and at the same time displays a lively presence within social media.” So it looks just as beautiful to gaze at in real life at the Great Barrier Reef as it would on the LED screen of your phone or laptop. While the color has a long history in art—see: Renaissance depictions of the baby Jesus wearing a coral pendant or Toulouse-Lautrec drawings of the dancers at the Moulin Rouge exposed under layers of pinkish orange frills—coral came to its sartorial peak in the late ’40s and early ’50s. The March 1950 issue of Vogueincluded a trend piece on the Paris collections that called out an orange coat from Elsa Schiaparelli, Cristóbal Balenciaga’s pinky orange tones, and Christian Dior’s velvet swing coat. Worn with a matching hat, the Dior coat is photographed by Norman Parkinson in a full-page spread. After that there was a brief coral revival in the ’60s—ahem, mod—and then again in the Day-Glo ’80s, with the color falling out of fashion until the color-blocking trends of the 2010s. Somewhat presciently, designers returned to coral en masse for Spring 2019. Marc Jacobs (of course) led the pack with an entirely pastel-hued collection that included not only several blush coral looks for day, but three completely feathered gowns in pink and orange. At Prada, Miuccia Prada served up sweet coral camisoles with space-age headbands to match, while Joseph Altuzarra evoked the heat of a seaside vacation via rich coral dresses studded with shells. For the classicist, there is Brandon Maxwell’s Texan shirtdress; for the experimentalist, Sacai’s pleated-front top. With such diverse options, there’s really no reason not to wear coral in 2019.